You already seen TK get his hands on his very own Huawei Honor 5x and take a look at the IonVR Virtual Reality Headset paired with Intel RealSense Technology at this year’s CES 2016. 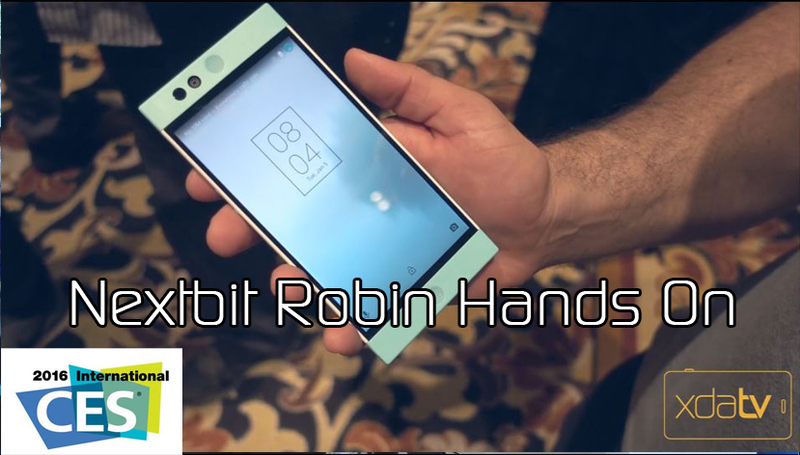 However, TK was able to meet up with the people from the successful KickStarter cloud based phone project: Nextbit Robin. NextBit has been busy. They showed off their Robin device at the Big Android BBQ, but they have been busy since. In this video, XDA TV Host TK takes a look at the changes, updates and improvements they have made to the Robin. They have announced a February 16 release date as well. Be sure to stay tuned for more CES 2016 news and videos!